Just in time for National Dog Day on Wednesday, and due to the proximity of the Midtown Detroit Dog Park nearby, Jolly Pumpkin Pizzeria and Brewery’s ownership says they will be collecting cat and dog food donations, to support to the Michigan Humane Society. All those who donate will receive 10 percent off their entire check, should they dine at the location from 11:30 a.m. to 11 p.m. at the brewery, 441 W. Canfield. Jolly Pumpkin Artisan Ales founders Ron and Laurie Jeffries are pet-owners themselves. 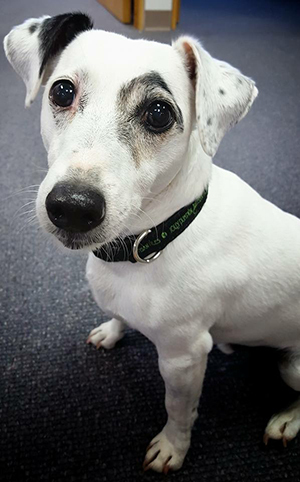 Their 10-year-old Jack Russell Terrier, Bam, is not only a member of the family, Bam’s name and likeness appears on several of the brand’s most popular styles. The Jeffries and staff have provided items for Bam-inspired gift bag giveaways as part of the Make Your Dog a Hero @ Shinola Detroit pet adoption event from 3-7 p.m. also on Wednesday, just down the block.“We are so excited to be part of this event and to partner with the Michigan Humane Society and, our neighbors, Shinola, here in Midtown,” says Dave Horchem, general manager.